Cabanillas & Associates, P.C. 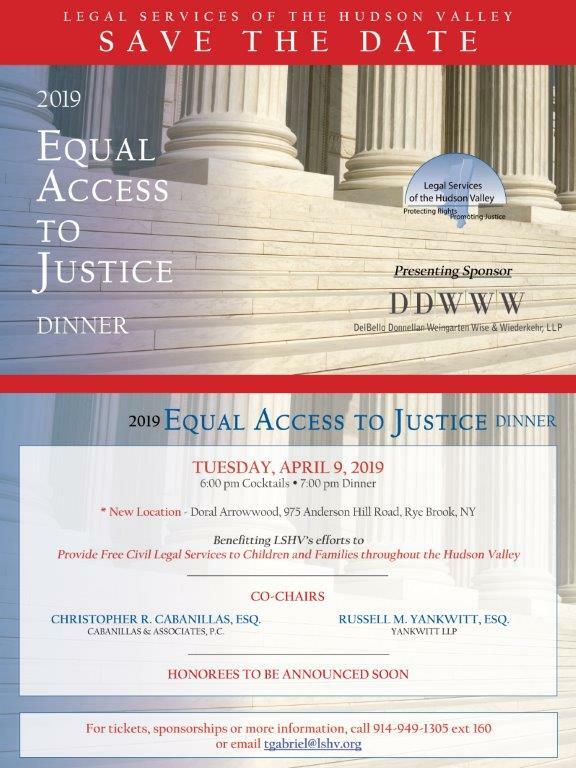 is honored to co-chair the 2019 Equal Access to Justice Dinner for the Legal Services of Hudson Valley on April 9, 2019. Please read on for more details and to get involved.